“Vladik’s story confirms that we still do not know much about tigers." 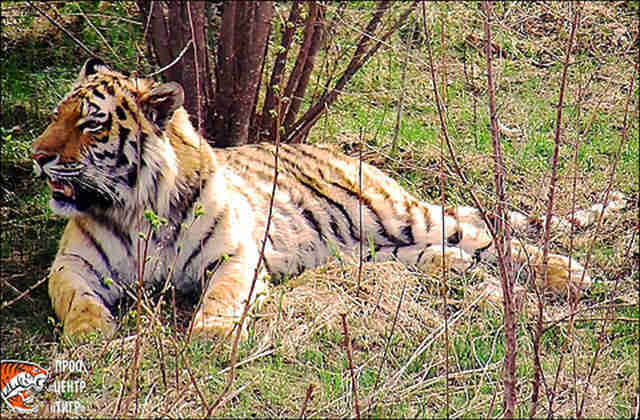 In the eastern Russian town of Vladivostok, residents came face-to-face last October with someone they weren’t exactly expecting to find wandering their streets: a 300-pound Siberian tiger. 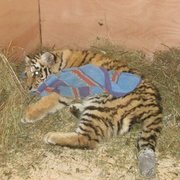 Causing quite the scare, the tiger, later named Vladik, was tranquilized by authorities and brought to Amur Tiger Center (ATC), a rescue and rehabilitation center that would monitor his health and check his hunting skills. 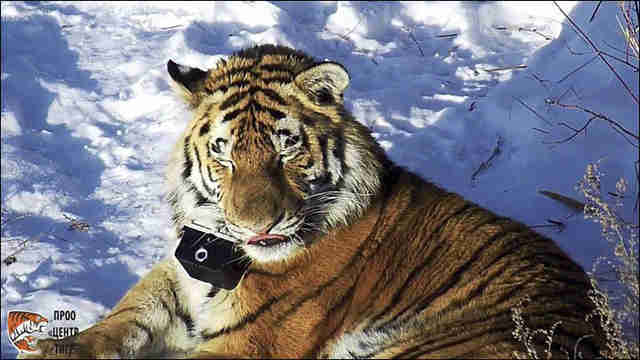 After living at the center for seven months, he was released back into the wild to the remote, 4,500-square-mile Bikin National Park — where 10 percent of the world’s endangered Siberian tiger population currently lives. Vladik, however, didn’t seem to be interested in staying. After walking over 400 miles south of his release point over the course of a few months, 4-year-old Vladik has been spotted again near the busy suburbs he was originally relocated from last year. To return there, he had to cross through highways, several small towns and even the Trans-Siberian Railway (the world’s longest railway). The ATC fitted Vladik with a GPS collar when they released him in May, so once he got near the suburbs, they sent out a foot patrol in the area to record his behavior while he was crossing through the more developed spaces. Luckily, he was much more cautious than last time. Since an established population of tigers lives in the national park, officials believe that Vladik may have opted to leave due to overcrowding. Although he has traveled safely thus far, his end destination could yield dangerous results as he’s no longer in an area that’s protected from logging and poachers. As adults, tigers live alone and will typically travel far distances for food or mating. Over the past century, hunting and deforestation have severely reduced Siberian tiger populations — so much that in the 1940s, they teetered on the brink of extinction with only 40 left in the wild. 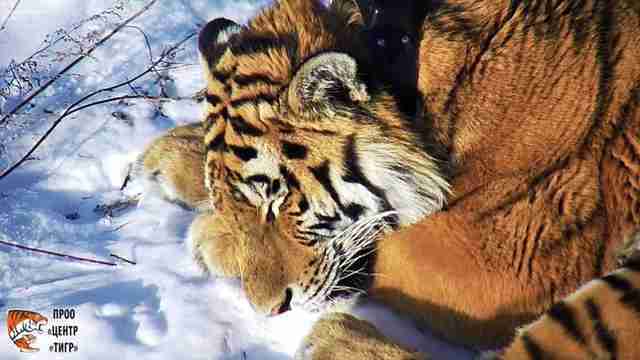 Thanks to full protection measures by Russia, an estimated 450 Siberian tigers live wild today. Historically, the country’s tiger population has faced trouble at the hands of illegal loggers who overharvest trees, thus limiting the supply of main food sources for tiger prey. The tigers are also under threat from poachers, who sell their parts in the illegal trade for alleged medicinal qualities. Since Vladik is currently still on the move, officials will continue to map his adventures via GPS to ensure his safety. And while it’s possible he could run into trouble again now that he’s closer to humans, it seems the only thing to do is let Vladik complete the journey he’s clearly had planned from the start. “We still don’t know where Vladik is heading, but time will show,” Aramilev said. To help endangered Siberian tigers survive in the wild, you can make a donation to the World Wildlife Fund.